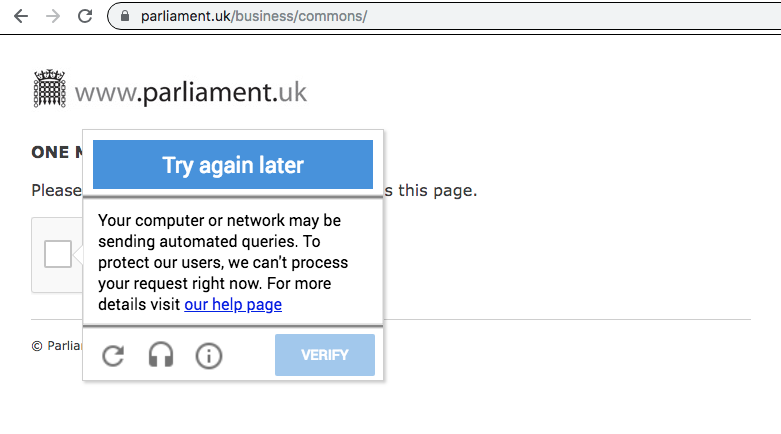 When #Cloudflare and #Google prevent you from watching a government's parliamentary debates. Does that count as interfering with democratic processes? And no, you don't get a chance to prove to a computer that you're human, this is a hard lock out, disguesed as a CAPTCHA.